Dr. Katharine W. Winograd was elected as the Central New Mexico Community College president by the CNM Governing Board with a unanimous 7-0 vote. She officially became president of the state’s largest community college and second-largest postsecondary institution on July 1, 2007. Dr. Winograd is the first female president of the college, which serves more than 26,000 students at four campuses and the Workforce Training Center in the Albuquerque-metro area. A fifth campus in Rio Rancho, N.M., is expected to open in early 2010. Prior to becoming president, Dr. Winograd was vice president for Planning and Budget. She began her tenure at CNM in 1997 as the institutional planning and research officer. In 2001, she began serving as executive officer for the department of Planning, Budget and Institutional Research, and in 2005 she was promoted to vice president for Planning and Budget. Other experience in New Mexico includes special assistant to the dean of the College of Education at the University of New Mexico (1996-97). From 1980 to1996, Dr. Winograd was a participant and leader in Kentucky’s educational reform efforts while working at the Kentucky Council on Higher Education (1980-83), the University of Louisville (1983-95) and Fayette County Public Schools (1995-96). Dr. Winograd earned her doctor of education degree in educational leadership from UNM and her master’s degree in higher education administration from the University of Louisville. Dr. Winograd’s husband, Peter Winograd, is the director of the Office of Education Accountability at the Department of Finance and Administration for the State of New Mexico. Dr. Becky Rowley has taught English at Clovis Community College since 1993, as a full-time faculty member from 1993-1999, and as an adjunct from 1999 through the present. In 1999, she became Vice President for Educational Services and in 2002 Executive Vice President. The Clovis Community College Board of Trustees appointed her the fourth president of CCC in 2011. As a faculty member, Dr. Rowley focused on distance education, particularly with dual credit high school students. As academic/student services vice president, her interests centered on the integration of instruction and students services and on workforce development. She currently serves on the Eastern Area Workforce Development Board and as a consultant/evaluator for the Higher Learning Commission. Dr. Rowley earned a bachelor’s degree in English and Latin from Creighton University in Omaha, Nebraska, a master’s degree in English Literature from the University of Virginia, and a Ph.D. in English Literature from the University of New Mexico in 1996. Dr. Rowley is also an avid marathon runner. Dr. Kelvin W. Sharp currently serves as the sixth president of New Mexico Junior College in Hobbs, NM. He has been with the college since July 2016. 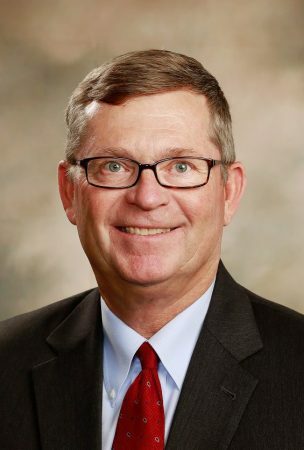 His previous position as president of South Plains College in Levelland, Texas for 12 years, as well as his experience with the unique economic characteristics of the Permian Basin, made him the exceptional candidate for NMJC. Since arriving in Lea County, Dr. Sharp immediately began working with architects to design and build a new Allied Health Building to provide more space for the NMJC nursing program. He has represented NMJC as a major partner in the construction and opening of the Center of Recreational Excellence (CORE), a 158,000 square foot recreation center in Lea County. He speaks extensively to businesses and organizations to promote the college, its foundation and the workforce opportunities available through NMJC. He is also very involved on campus, engaging with students, faculty, and staff to ensure a positive educational experience. Dr. Sharp holds a doctorate of education in higher education administration from Texas Tech University, and a Master of Arts in mathematics from Texas Tech. He received a Bachelor of Science in physics and mathematics from Chadron State College, Chadron, Nebraska. Before his presidency at South Plains College, Dr. Sharp was Dean of Arts and Sciences, then Vice President for Academic Affairs. Previously he was at West Texas A&M University as an instructor in mathematics, coach of the rodeo team, and assistant in the University Development Office. Before that, he served as dean of instruction at Clarendon College, and a math and rodeo physical education instructor. He has taught in public schools in Tryon, Nebraska, and Claude, Texas. He and his wife Lissa have two children, Lindsey, a student at Texas Tech, and John, a student at New Mexico Junior College. Texas Tech College of Education recognized Dr. Sharp as a Distinguished Alumni. He was inducted into the Chadron State College Athletic Hall of Fame. Major General Jerry Grizzle, PhD, United States Army National Guard (Retired), became the 19th President/Superintendent of New Mexico Military Institute on July 1, 2009. General Grizzle graduated in 1976 from Southwestern Oklahoma State University with a BS in Accounting. He received his MBA from Central State University and his Ph.D. from Oklahoma State University. Previously, General Grizzle was the President/CEO of Orbit Finer Foods, Skolniks, CD Warehouse, and most recently AMS Health Sciences in which he was fully responsible for all aspects of business development in a highly competitive marketplace. Prior to his tenure with CD Warehouse, he was Vice President/Treasurer of Sonic Industries. General Grizzle started his military career in 1971 as a Private and retired as a Major General in 2005. General Grizzle was appointed Commander of the 45th Infantry Brigade (Thunderbirds) of the Oklahoma National Guard, where he was responsible for all matters affecting the combat readiness of the command. Immediately after the attacks of September 11, 2001, Major General Grizzle entered active federal service and took command of the Department of Defense Joint Task Force – Civil Support (JTF-CS), the only unit in the Department of Defense responsible for the planning and execution for the response to any possible Weapons of Mass Destruction attack within the United States. Northern President Richard J. Bailey, Jr. and his wife Diana joined the Northern family in October 2016, after a 24-year career in the United States Air Force. 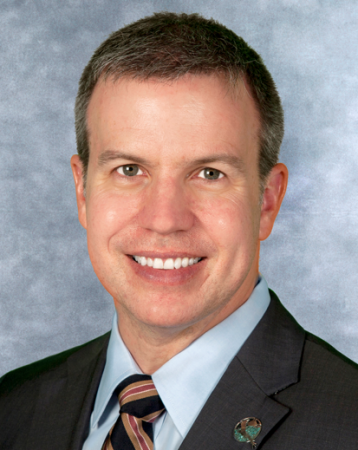 Dr. Bailey received a BS in Engineering Sciences from the U.S. Air Force Academy, his Masters in International Affairs from Washington University in St. Louis, and a doctorate in Government from Georgetown University in Washington, DC. Before assuming the Northern presidency, Dr. Bailey served as associate professor of strategy and security studies at the School of Advanced Air and Space Studies at Air University, Maxwell Air Force Base, Alabama. He also served as the school’s first-ever Dean of Students. Prior to his position at Maxwell, Dr. Bailey served as Commander of the 429th Expeditionary Operations Squadron at Forward Operating Locations (FOLs) in Curaçao and Aruba. As commander, he directed all support of multi-national aircraft operations that conduct detection, monitoring and tracking missions for counterdrug efforts in the region. Dr. Bailey received his commission in the U.S. Air Force in 1992. After completing Undergraduate Pilot Training, he served flying tours in the C-9A, C-141B, and UV-18B aircraft and has been an aircraft commander, instructor pilot, and flight examiner. He retired from the Air Force as a command pilot with over 3,500 flying hours. After completing his PhD in 2006, Dr. Bailey served as a defense trade analyst at the U.S. State Department. He later served as Chief Air Operations Officer at the NATO Joint Force Command Brunssum in The Netherlands, where he oversaw air operations efforts for the International Security Assistance Force (ISAF) mission in Afghanistan. In 2014, Dr. Bailey was elected the first President of the Air University Faculty Senate, advising senior leaders on all issues pertinent to the university’s 600+ faculty members. He is the only faculty member in the university’s history to receive both the Faculty Excellence Award, given annually to the highest rated faculty member at the university, and the Muir S. Fairchild Award, for the most outstanding contribution to Air Force Education. Dr. Pendergrass is the president of San Juan Community College. Over the course of her career, she has worked with teams to advance economic growth through workforce and academic partnerships. In Addition, she has secured state and federal grants for nursing, health care training, and STEM (science, technology, engineering, and math) disciplines. She most recently served as the Vice President of Learning at San Jacinto College, South Campus, in Houston, Texas. There, her responsibilities included being the chief learning officer for the college and providing vision, leadership and strategic direction in Liberal Arts, Health Science and Sciences, Business and Technology, Evening and Weekend College, the Library, Dual Credit, and the District Honors Program. Her academic experience also includes working for El Centro College, Dallas County Community College District, where she served as the Vice President of Academic Affairs and Student Success (interim), the Executive Dean of Communications, Mathematics, Developmental Studies, and Teacher Preparation Division, Assistant to the President, and was an adjunct faculty member. She also worked at Wayne County Community College District as a Vice Chancellor for Planning, Development and Accountability and at Clovis Community College as the Director of Institutional Planning and Research. She earned a Ph.D. in Educational Administration, specializing in Community College Leadership from the University of Texas at Austin, and a master’s and bachelor’s degree in Agricultural Economics and Economics from New Mexico State University. A graduate of Aztec High School, Dr. Pendergrass has roots in the Four Corners. 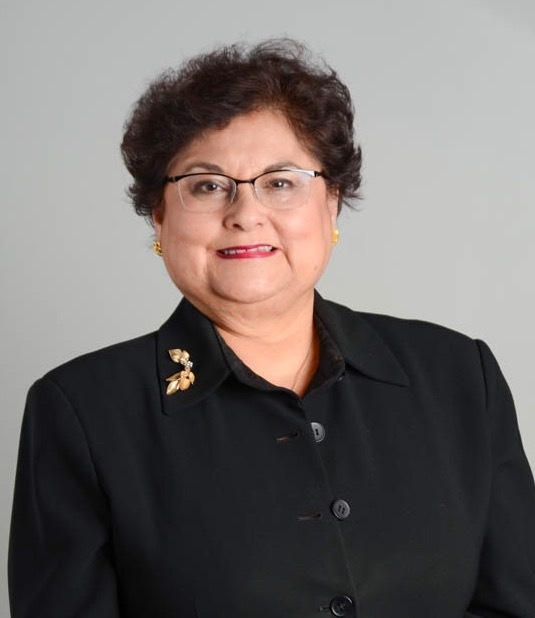 The Santa Fe Community College Governing Board selected Cecilia Y.M. Cervantes, Ph.D., as Interim President in fall 2017. Since joining the college, she provided leadership to successfully pass a $17 million bond without raising taxes. The bond funding will support construction of an automotive center, fitness center improvements and facilities maintenance and upkeep. She has met with legislators to secure state funding and with public officials to sustain positive relations and keep them informed on college initiatives. In addition, she has guided the collective bargaining process with SFCC-AAUP faculty. Dr. Cervantes has extensive experience working in higher education serving primarily in leadership roles at community colleges. With a demonstrated commitment to student success, Dr. Cervantes champions students of all ages, backgrounds and experience, with a focus on developing workforce connections, internships and apprenticeships, and professional opportunities. She has initiated work on strategic enrollment management, including providing access to greater segments of the community. She leads the implementation of SFCC’s strategic plan, working to improve graduation and retention rates, particularly among minority students, especially men, and on increasing the number of minority faculty and staff. She has provided campus-wide employee professional development opportunities, including campus safety drills and exercises. She also has continued supporting the work of policy review through the shared governance process. She earned a Ph.D. in Curriculum and Instruction, with a minor in bilingual multicultural education and reading from the University of Colorado and an M.A. in Education and Reading and a B.A. in Spanish/Chicano Studies, both from the University of Texas at El Paso. The Board of Regents unanimously appointed Dr. Joseph Shepard the 15th President of Western New Mexico University (WNMU) on April 27, 2011. Dr. Shepard assumed the office on July 5, 2011 and now leads the Silver City campus, as well as learning centers in Deming, Gallup, Lordsburg and Truth or Consequences. Prior to arriving at WNMU, Dr. Shepard served over 15 years in senior-level leadership positions at Florida Gulf Coast University. Throughout his years at FGCU he held the positions of Chief Student Affairs Officer, Chief Business Officer, and Chief Financial Officer. Among his many responsibilities, Dr. Shepard was one of the founding leaders in helping to build the State of Florida’s 10th university. When Dr. Shepard arrived at FGCU, there were no students, no classes, no athletics, no on-campus housing, no policies and no infrastructure. By Dr. Shepard’s departure in 2011, FGCU had grown to over 460 faculty with a total workforce of nearly 2,000 that served nearly 13,000 students. Dr. Shepard has also remained active in the classroom and with research. His teaching areas have been at both the graduate and undergraduate levels in quantitative methods, public finance and business leadership. He has also taught internationally in Mexico. Dr. Shepard earned his Ph.D. in Public Administration specializing in public finance from Florida International University. He earned a Master of Business Administration degree in Finance and Banking where he specialized in international finance from the University of North Texas and a Bachelor of Science in Math Education from Northern Arizona University. He has been married to his wife, Marcela, for 21 years and has two children. He is fluent in Spanish and enjoys mountaineering, backpacking, canoeing, fishing, golfing, and racquetball.